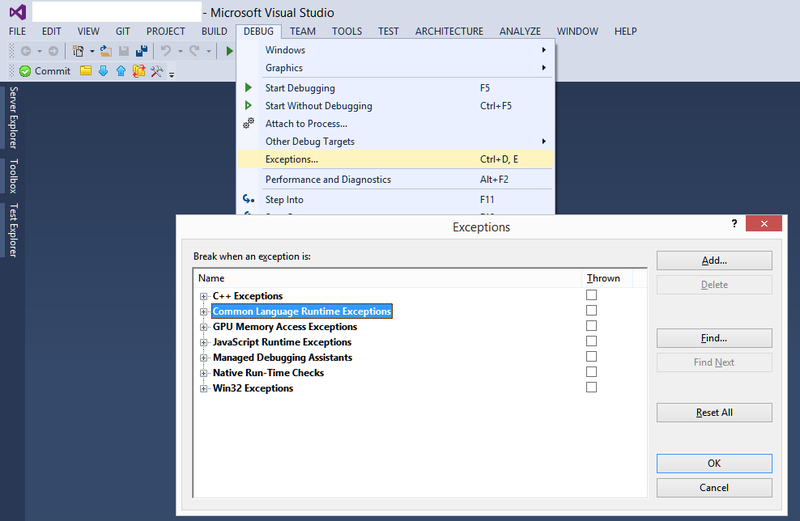 Few days ago Microsoft launched Visual Studio 2015, the long waited release with tons of great features. In the last three years I held several sessions on Microsoft and Community conferences about some of the new feature in Visual Studio 2015, like new C# and VB compiler so called Roslyn, new JIT 64 compiler, Framework 4.6 , native Compiler, as well as great new Debugging and Profiling tools. During daily development I am using Debug features a lot. 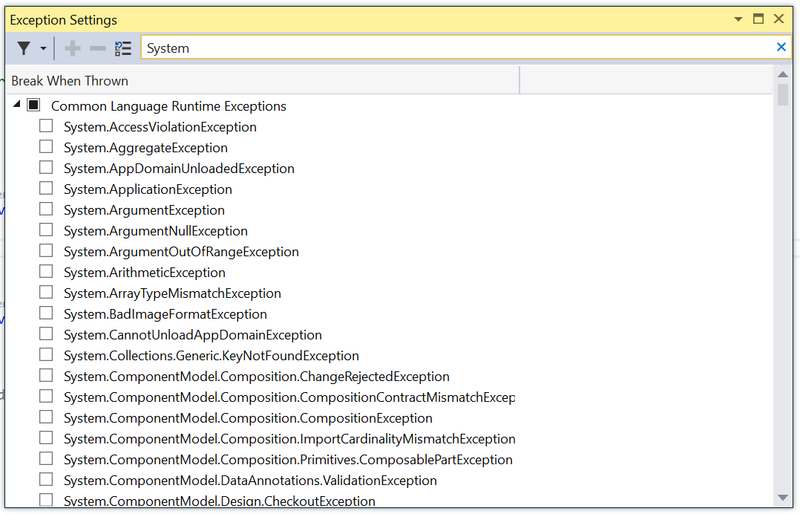 First time I have opened Visual Studio 2015, I could not find Debug Exception option. Usually the option is under Debug menu. After some researching I have found the option in Debug->Window->Exception Settings. Now the Exception Setting window is modless dialog, so you can set the option without interrupting debug process. 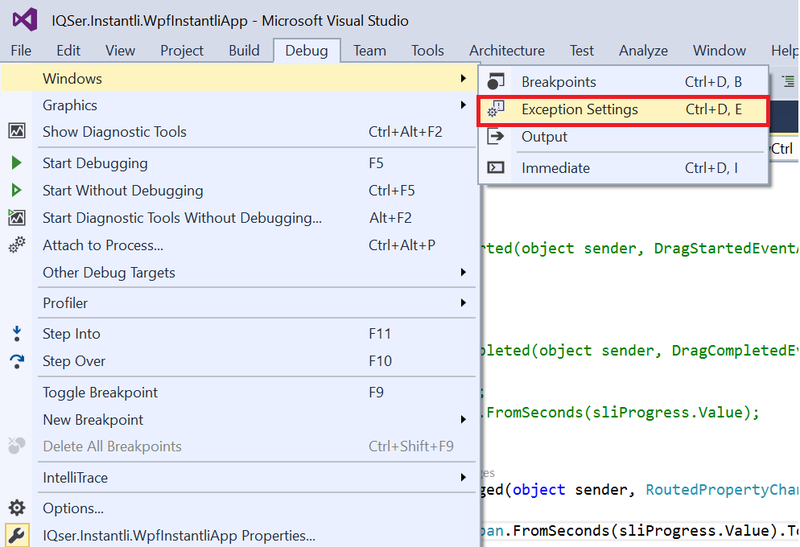 Also there are powerfull filter to quickly find right exception you want to throw. There is a great video about this feature which you can see here and see why Visual Studio team moved this option to Debug-Windows menu option. This entry was posted in .NET, Visual Studio and tagged C#, Debugging, Visual Studio, Visual Studio 2015 by Bahrudin Hrnjica. Bookmark the permalink.